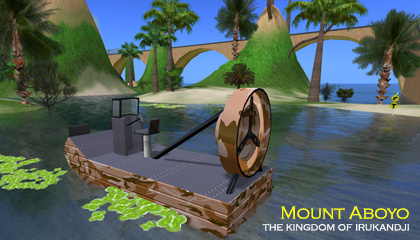 NOTE: This page is about Mount Aboyo in InWorldz. 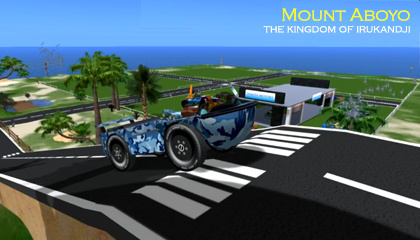 The Second Life version is here: Mount Aboyo Island in Second Life. 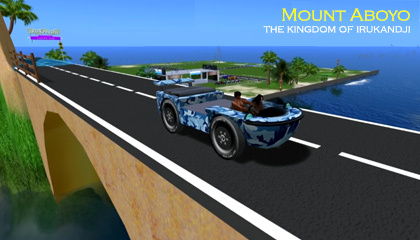 Mount Aboyo is a scenic region of the InWorldz virtual world, located in Tamita State, in central Irukandji. 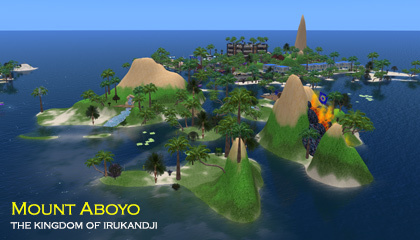 Mount Aboyo in IW occupies the same grid square that it did in Second Life some years before, however this time it was a scenic region. Instead of flatlands with a winding river, this version of Mount Aboyo featured the remnants of a tall mountain as its name suggests. In the northwest of Mount Aboyo, a sea corridor runs from Lagune d'Or through to Tiamo Reef separating the region from Irukandji's capital, Tamita Island. An active volcano features on the eastern slopes of Mount Aboyo, and further east, a long arch-bridge highway traverses the region from South Irukandji Sea to Octane Island in the north. 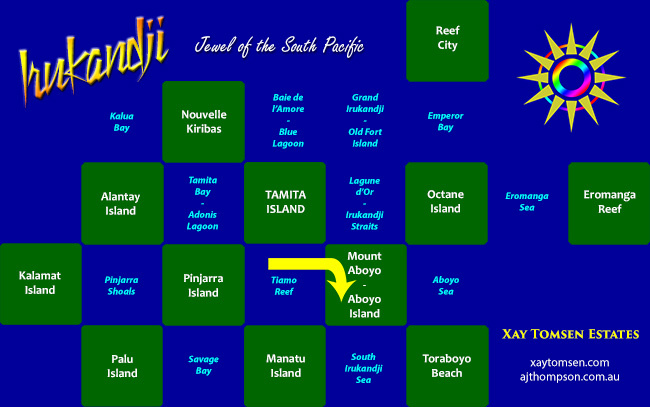 Regions adjoining Mount Aboyo were Tamita Island, Lagune d'Or, Octane Island, Toraboyo Beach, South Irukandji Sea, Manatu Island, and Tiamo Reef. Mid 2014, I terraformed Mount Aboyo into a flat residential island and renamed it Aboyo Island. Below you will find more photos of Mount Aboyo.